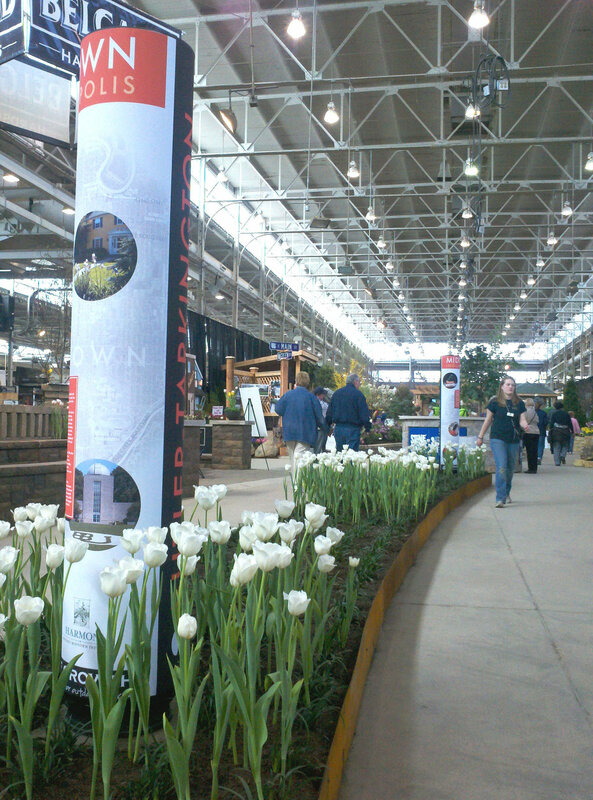 The Flower & Patio Show is right around the corner! We start construction next week, and the show opens March 11th. 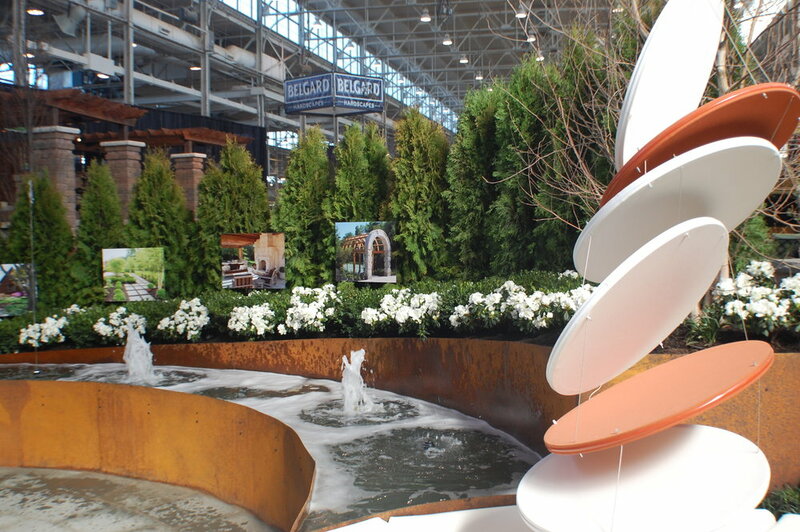 We've made a habit of pushing the traditional boundaries of landscape design and doing something new and unique each year. In preparation for the reveal of this year's design, we're going to review our designs from the past six years and end with a hint about this year. Click on any image to see it larger. Welcome to the Midtown District. Four premier neighborhoods in Indianapolis have united and named themselves the Midtown District, these include, Butler-Tarkington, Meridian-Kessler, The Broad Ripple Village, and Mapleton-Fall Creek. The Midtown District is filled with historic homes, quaint businesses, museums, and local restaurants. The urban fabric of the Midtown District has created smaller unique properties filled with individual character. Watch the soothing flicker of fire, hear peaceful sounds of the fountain, and see the dynamic plantings transform throughout the year. Enjoy life in the Midtown District. Do you have the winter time blues! Get out and join our ‘Blues Party’. Wear something blue, bring something blue, sing the blues. Whatever your interpretation is, just know that you won't leave with the blues. Join us in our modern Forested Retreat. Sit down, put your feet up and enjoy the scene. Warm up by the oversize fireplace, marvel at the stonework, and enjoy the fresh smell of emerging plant material. Bring your friends and family to Live, Eat and Relax…Outdoors. Enjoy each other’s company through good food and conversation, all while enjoying the serenity found in simplistic design. A nightcap with a warm fire, nestled in a wooded setting, will leave you feeling content and at ease. 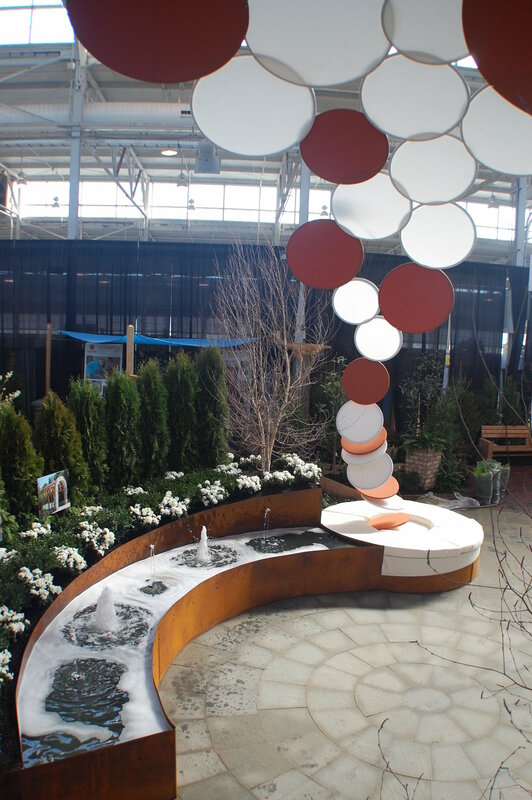 In 2014 we also got the privilege to be part of the Urban Homestead at the show. 317Grow loves to have the opportunity to showcase our passions. 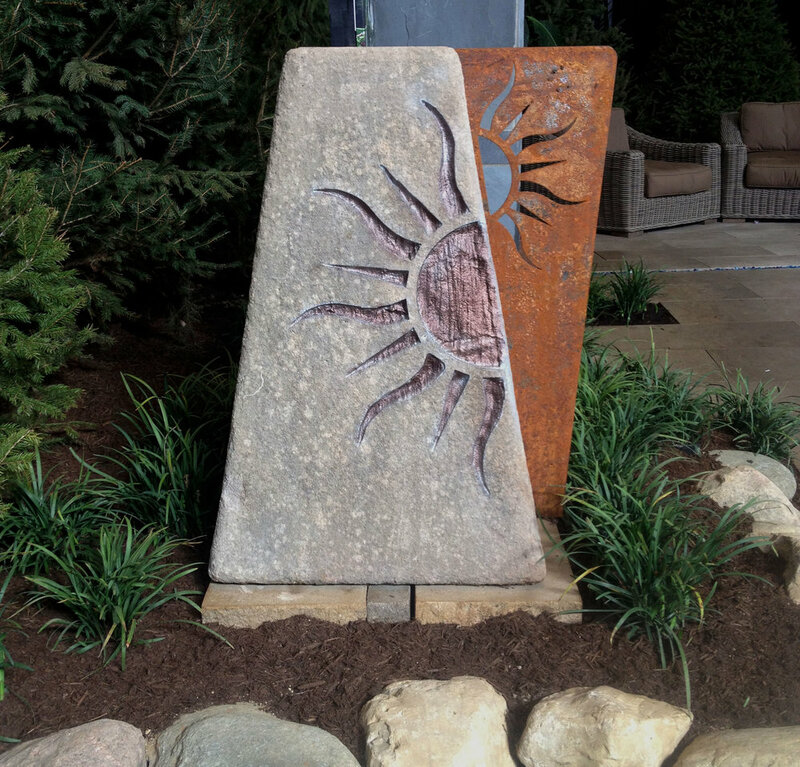 This garden allows us the opportunity to show how a homeowner can use green initiatives within the urban environment. The garden is a full scale model of an actual city lot. The home is made from re-purposed shipping containers. The other unique features within the space include a goat and chicken enclosure, composting opportunities, raised bed gardens, zero offsite water emissions, native plantings, permeable pavers, solar panels, and recycled asphalt paths. We gave educational talks through the week on all of these topics and would love your involvement. The overall theme for this year's show was Fresh. 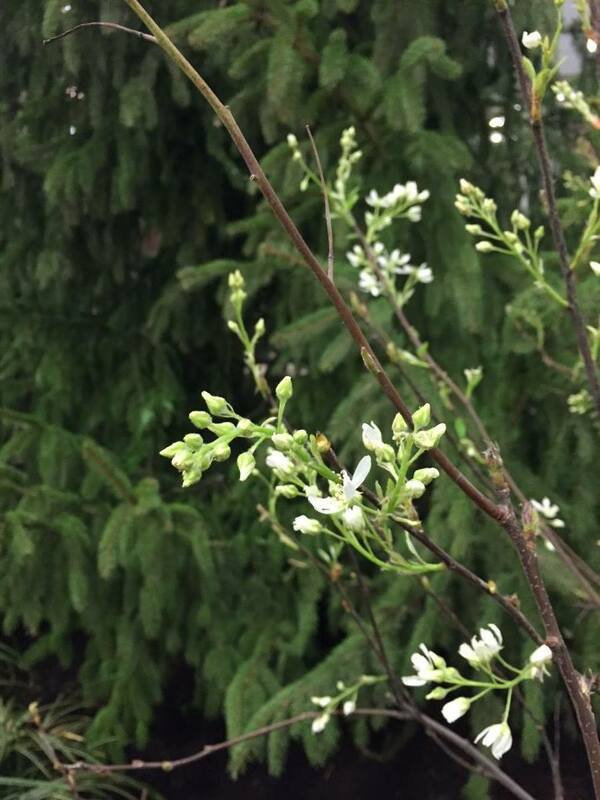 We decided to use our garden to showcase the four seasons and how different plants can be used to keep your landscape fresh and exciting in any season. Each quadrant of the design features a distinct plant and color palette and helps set you within the season. The center features additional seating and an impressive table made from a massive tree stump. Clean Lines. Repetitive Shape. Clear Direction. Consistent Texture. Uniform Color. Simple Tone. 317Grow has created a space that promotes relaxation while emphasizing sophisticated style. Take note of the simple use of material, the clean lines, and an exterior space that maintains year round interest and practicality. Simple design is not only awesome, but understated, and we know you will agree once you experience our space, whether here on the blog or in person at the show. Come back in two weeks for a tour of this year's garden! In the meantime you can follow us on Facebook, Instagram, and Twitter for updates on construction starting next Wednesday. Here's a hint to get you excited.